There are countless ways to spend Valentine’s Day together as a couple –dinner and drinks, movies, a night in, or a spa. But nothing brings couple together more than traveling together. And since every love affair is unique, so should be your destination. Regardless of where you live in California, there is a great choice of charming destinations just a short drive away. 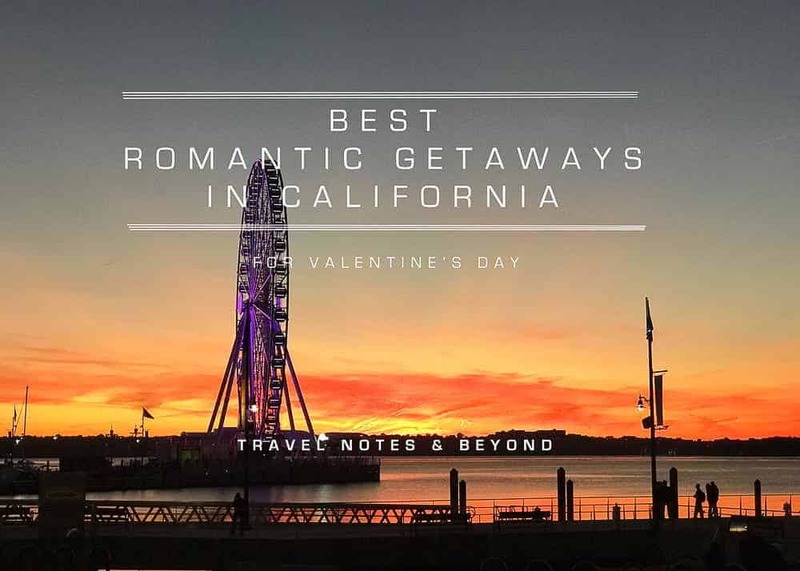 So if you don’t have any plans for this Valentine’s Day, here are some ideas of romantic getaways in California. If you are a wine lover, you should spend at least one Valentine’s Day in your lifetime in Napa. It’s a fantastic experience! Located between the rolling hills of Mayacamas Mountains, Napa Valley offers breathtaking views at every turn. You don’t need to be a wine expert in order to appreciate the great wines of this region. Although a very small region, Napa is home to several hundred wineries. Many of them are open to the public (some by appointment only). Whether you are a wine connoisseur or a wine novice, Napa is the place to explore and learn about it. Choosing which winery to visit can be an overwhelming task. It’s a good idea to check them out before you decide to start a tour. The wealth of options, the elegance of the tasting rooms and the art collections exposed in some of them can make your head spin. Napa is also a foodie haven. From three-star Michelin dining experiences to traditional wood-fire pizzas, you can have almost everything. In fact, one of the world’s best food places, The French Laundry is in Napa Valley. 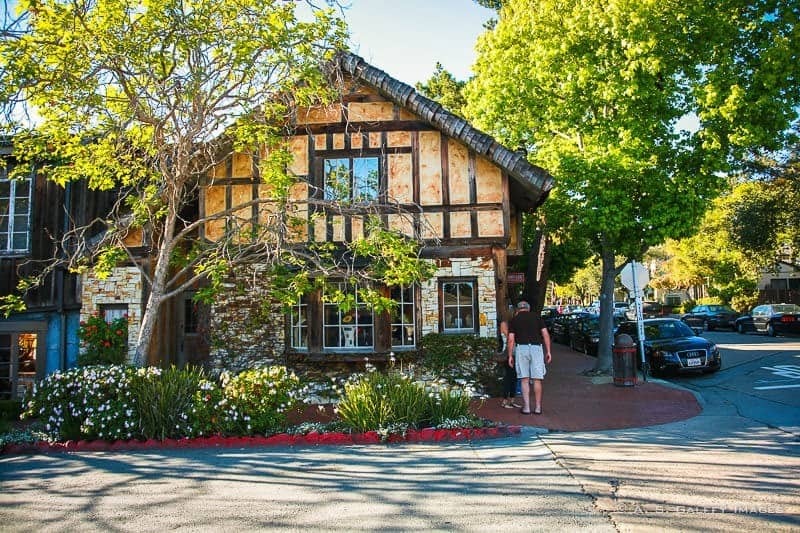 Few places in California are more romantic than cozy Carmel. Nested above a picture-perfect sand beach, this European-style village with no street addresses or mail boxes is just perfect for a retreat. Rustic cottages with picket fences, rugged ocean shores and green rolling hills. It can’t get much better than this. The town’s architecture is a blend of small beach houses, log cabins and modern see-through glass homes. Over the years, Carmel has been the gathering place for many musicians, writers and painters. Their presence is quite obvious in the many art galleries and boutiques in town. On the outskirts of Carmel you can visit Mission San Carlos Borromeo (also known as the Carmel Mission)– the second mission built by Franciscan missionaries in California. 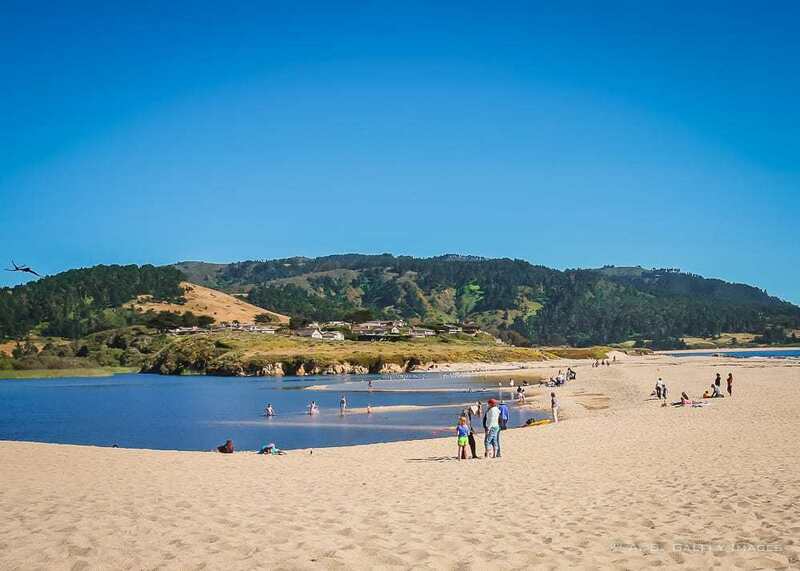 The town’s proximity to world renowned golf courses, the famous 17-Mile Drive and the unique Point Lobos Natural Reserve, make Carmel one of the most desirable romantic getaways in California. If this is your first time here, chances are you may want to turn your getaway into a long vacation. You don’t need to take an expensive trip across the Atlantic to get the feel of a Danish village. 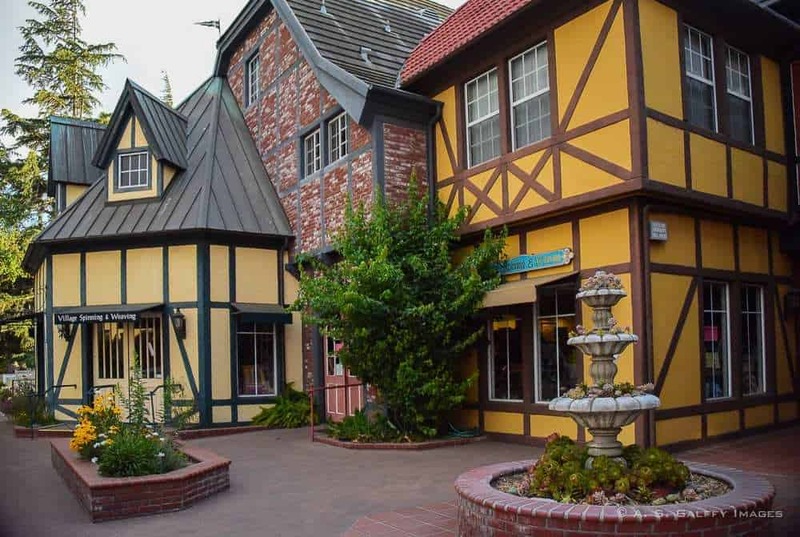 Just a short 40-minute drive from Santa Barbara, the little town of Solvang will make you think you are in Denmark. The town has charm galore! European-style windmills, half timbered houses, storks on the rooftops, clogs and Danish bonnets in the windows, everything is reminiscent of the old Danish countryside. This is a place like no other in California. 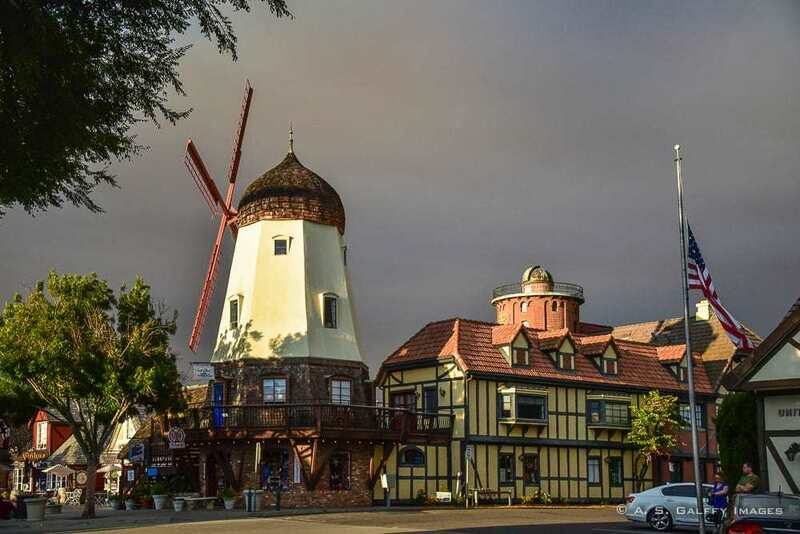 Solvang is an attractive destination for food a wine lovers. 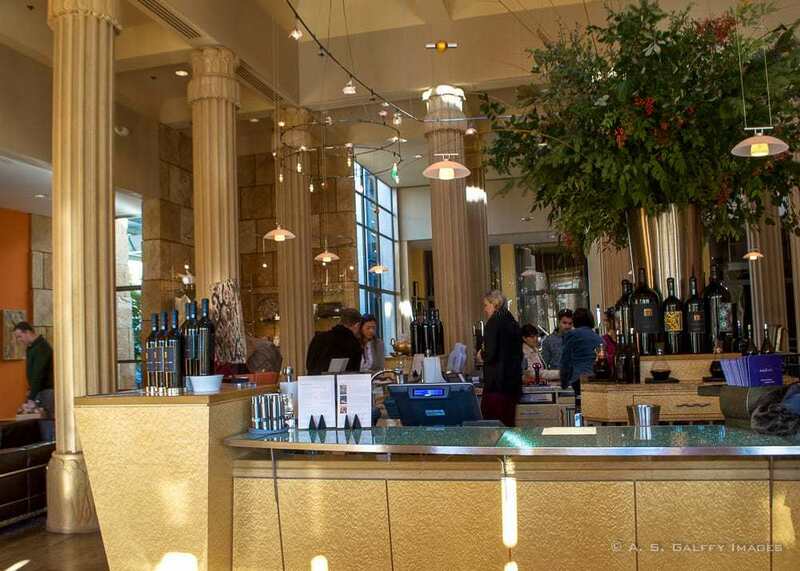 From farm-to-table rustic Italian cuisine, American and Danish foods, sweets in all form to award-winning beers and world-class wines, there are plenty of temptations for your taste buds here. Don’t underestimate the allure of a warm and sunny city, with beaches and marinas along its waterfront. Long Beach may be a big, sophisticated city, but its relaxed and easy-going atmosphere makes it feel more like a resort town. The city provides many lodging options among witch a cabin on the permanently docked ocean liner Queen Mary. The now retired British ship is home to three world-class restaurants and can be visited daily, even if you are not a guest of the hotel. 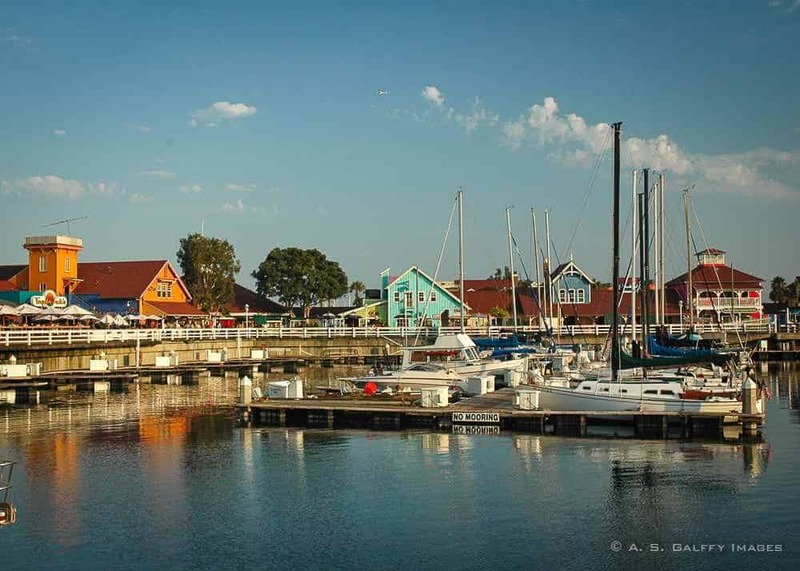 The Shoreline Village is a boardwalk area with trendy boutiques, souvenirs shops and restaurants along Shoreline Marina. There is a bike, skates and pedal cart rental in the village and miles of beach path to explore. 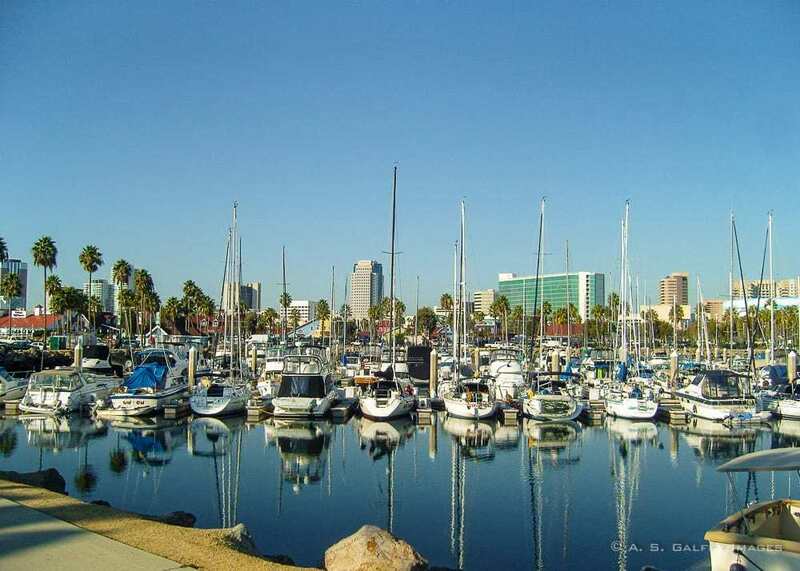 You can also hop on a boat and take a tour of the Long Beach harbor. Along the waterfront, you can also visit the outstanding Aquarium of the Pacific. The aquarium has several huge tanks and more than 50 animal exhibits as well as a wide range of educational programs and interactive activities. 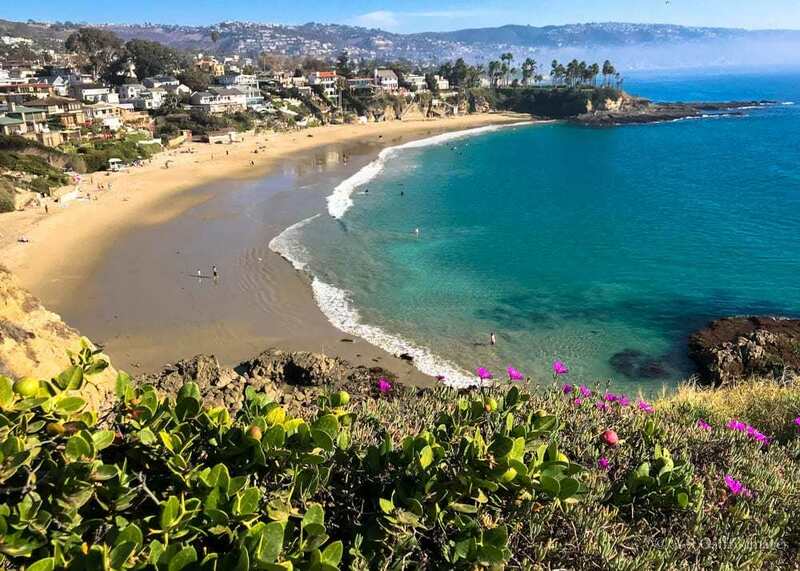 Located in the famous Orange County, Laguna Beach has all of the ingredients for a romantic getaway: beautiful beaches, breathtaking landscapes, sweeping ocean views. The town is famous for its art galleries, fancy boutiques, and great restaurants. Laguna Beach also made a name for itself because of the of the living pictures, a live performance that you can’t see anywhere else in the world but here. Also known as the Pageant of the Masters, this performance is held every summer for eight weeks, beginning July. If you are traveling with kids in Orange County, check out this post for some fun activities. Located just across the bay from downtown San Diego, Coronado is consistently counted among the most romantic getaways in California. The island’s coastline is nothing short of spectacular, with wide sandy beaches and golden sand. A mineral called mica causes the sand here to glimmer. You can see these little flecks of gold shimmer in the water, just before the waves break. There are countless options for outdoor activities, like biking, kayaking, stand-up paddle boarding, or sailing. You can also shop around in the many cute boutiques, or dine at one of the ocean-front restaurants. 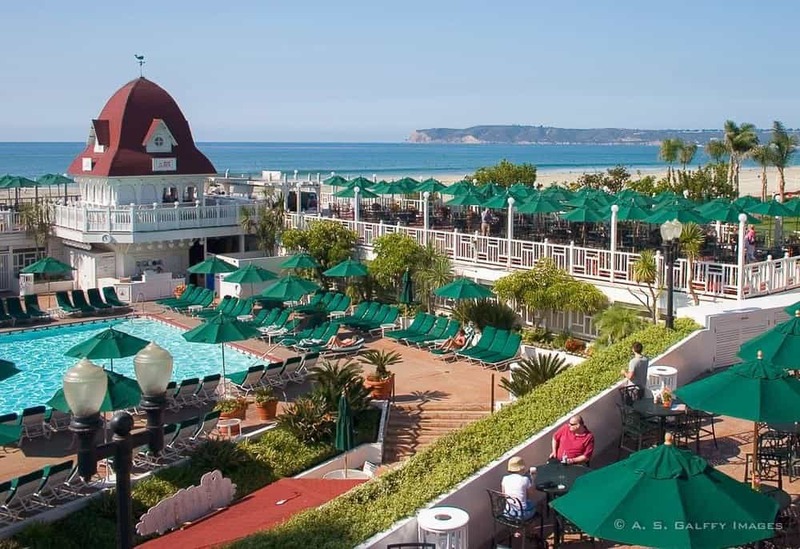 Coronado is home to many great hotels among which the historic Hotel del Coronado, also known as The Del. Walking through its lobby is certainly worth the time. The hotel made history when it became the setting for the classic comedy Some Like It Hot, starring Marilyn Monroe, Tony Curtis, and Jack Lemmon. Which of these places is the most romantic in your opinion? I enjoyed having a drink on del Coronado's outside patio looking onto the beach and the ocean. I may not much anymore about romance (after being married for 25 years:) but definitely had a Californian vibe! Beautiful photos, as always, Anda! What a great list! I can totally appreciate this as a California resident. We have visited all these places and all (except for Napa) were with kids. So, I’ll have to go with Napa as a romantic getaway. It has the adult vibe. Now, if only we can fit in a romantic getaway in our schedules. It can't possibly be Valentine's Day yet. I'm pretty sure I only put the Christmas decorations away yesterday. Yea, I agree, Lyn. Time really flies. Although I won't be in California on Valentine's Day, I really hope I can go to Carmel when I'll visit San Francisco next month. To be fair though, all of those places look amazing, wish I would have time to see them all. Good to hear that you'll finally make it to California. I know this was one of your dreams. I'm sure you'll enjoy it tremendously and hopefully you'll have time to visit Carmel. Is but an hour and a half from San Francisco. 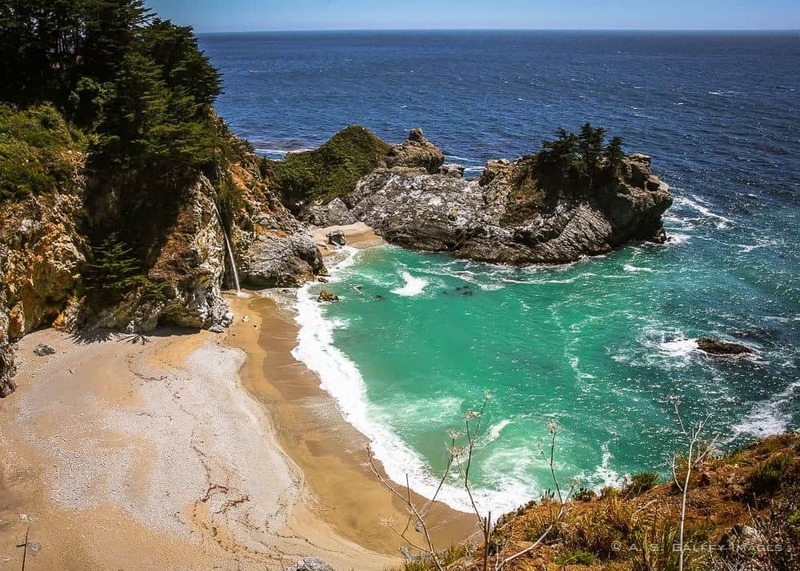 California has such natural beauty - and all of these places would make for a great romantic getaway. Those that live close enough to go are so lucky! California is exciting and it's a great list! I love Napa Valley and Long Beach, and you have covered so many places - beach, small town, vineyard, and seaside... I am sure anyone would be able to choose a place that they like! What a great valentines guide. 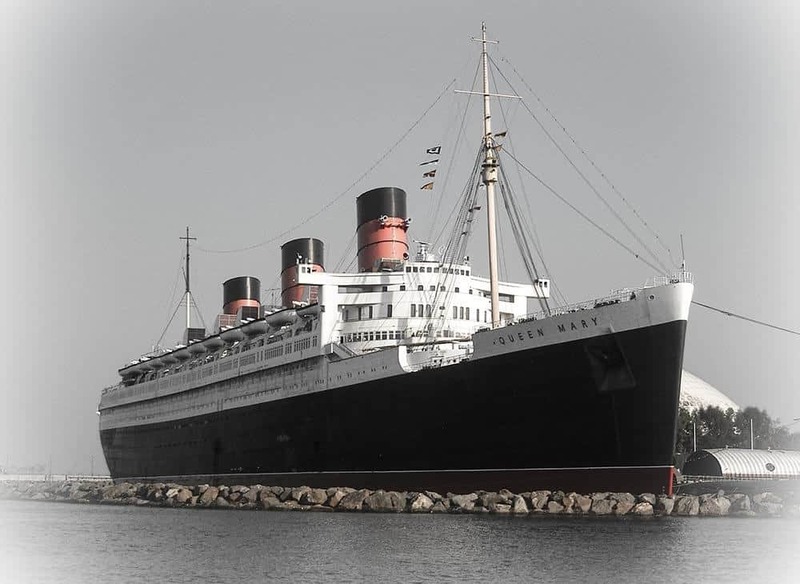 We would start with walking on the beautiful beach, then heading to Napa for some fine wine, then with our love of cruising a meal on the Queen Mary would be perfect! You have picked so many beautiful places in here! I have not been to Napa or Coronado (shocking since I have been to San Diego like 100 times). I visited Carmel once but was tight on time. Plus, it was labor day weekend and the town was very crowded. I want to go back and spend the entire weekend in there. Carmel is a very famous spot on the coast of California and thus is always crowded. Nonetheless, it's worth a visit. What a great list! Carmel would win in my book. The beauty in that seaside community is stunning. With the nature preserve nearby and the famous 17 mile drive, what could go wrong? I have not been to Coronado Island, but you do have me intrigued. Great romantic getaway ideas! I'd love to visit the small towns of Carmel and Slovang. They look so charming and I've heard such great things about them. I'm always up for wine country and coastal explorations too! We were in California on the coast two years ago, and it most certainly is time for us to return. It would be hard to pick just one favorite romantic place! I have spent a good amount of time in California over the years, and Laguna Beach, Carmel, and Coronado Island are my three favorites. The coastal drive through Carmel is my favorite road trip, but I think for romance I'd have to go with Coronado. Aw now you've made me homesick! These are all wonderful locations, especially the Coronado Hotel! So glad you mentioned Some Like It Hot! That's one of my fav classics! Mine too, Lolo. I watched that movie a hundred times, I guess. We've visited Carmel, and we know that's a very pretty seaside town... It would no doubt be lovely to spend a romantic Valentine's getaway there! My favourites are Carmel and Napa Valley. Carmel is just so cute while Napa is lots of fun when the weather is good. I haven't been to Solvang or Coronado Island but I would like to visit. Some good picks here. Places my ex boyfriend and I used to go in California getaways were Carmel/Monterey, Solvang, Napa/Sonoma, Half Moon Bay, or Mammoth Lakes. We were blessed with loads of good choices! Indeed, Jessica. We are so blessed here in California with so many great choices.